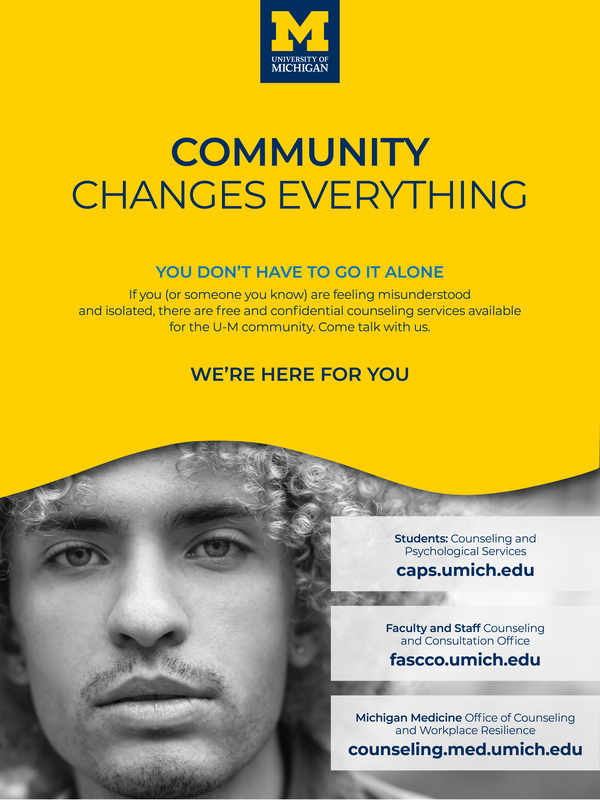 Find more information on Self-Compassion from the latest College Student Mental Health Survey from CAPS HERE. The University Record recently published an article covering the campaign. Find the University Record article HERE.